Have you ever looked up online reviews before visiting a new restaurant? If so, did the reviews influence your decision to eat there? The wealth of peer-to-peer information available online has grown considerably over the years. Websites such as Yelp and Angie’s List have built a platform for future customers to be influenced by the opinions of existing customers. Sure, referrals from friends and family still hold weight. But patients are becoming increasingly reliant on their virtual peers. In addition to operating as their own search engines, these review sites tend to rank very high in platforms like Google and Yahoo. This opens up a great opportunity for your practice to get found online. 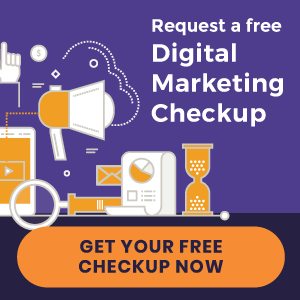 Consider it a patient referral program on digital steroids. Before adding a listing you’ll first want to search for your practice to see if it’s already listed. If you are already listed, simply claim and update the listing with correct information. It’s important that you verify this first, as you don’t want to have duplicate listings. Follow NAP (name, address, and phone number) best practices. This means ensuring that your practice name, address, and phone number are displayed the exact same way on each site. For instance, if you put “123 Main St.” on one listing, don’t put “123 Main Street” on another listing. If the review site permits, be sure to upload nice photos of your practice logo, along with staff photos, office photos, and a professional headshot. Add your chiropractic website and contact information so that prospective patients have an easy way to contact you. After creating or updating your listings, you’re ready to start earning feedback. Positive reviews from existing patients offer a host of benefits. First, they boost credibility in the eyes of prospective patients. Second, these listings can attract qualified website visitors who are already interested in chiropractic treatment. 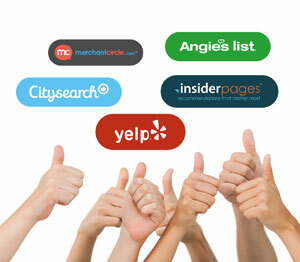 Looking to increase your online visibility? Download our free ebook, “10 Ways to Get New Patients From the Internet,” and start seeing more new patients today!